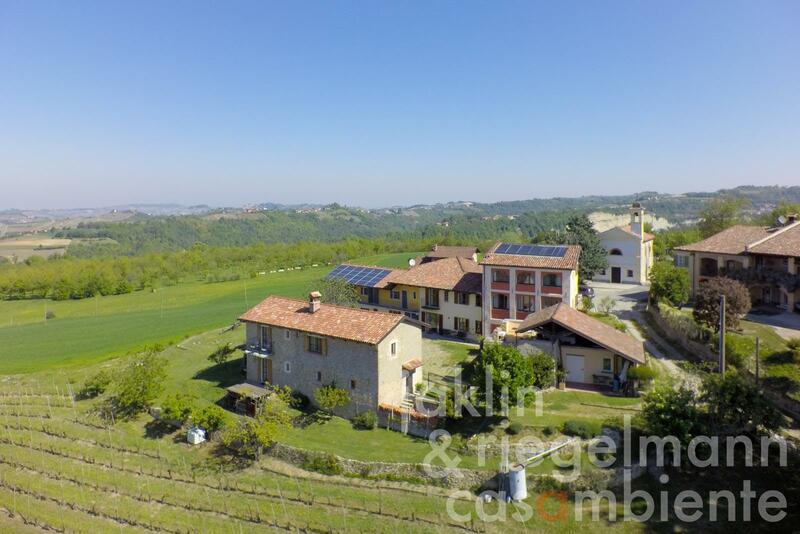 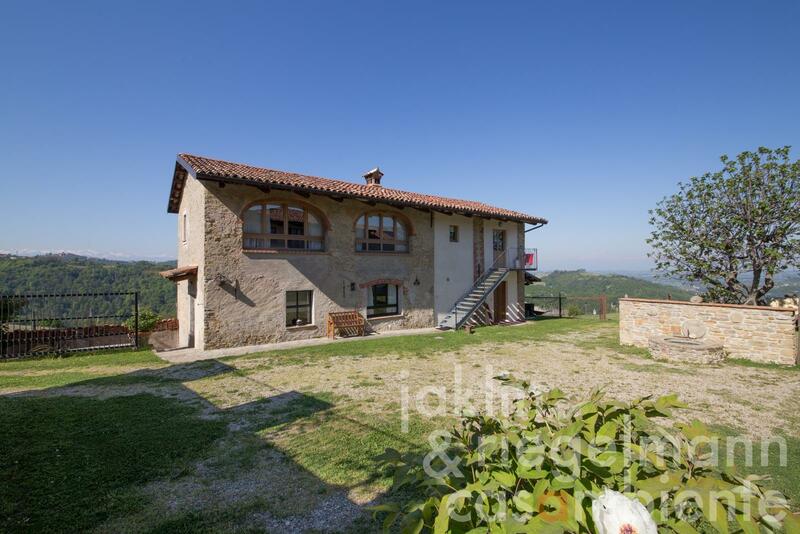 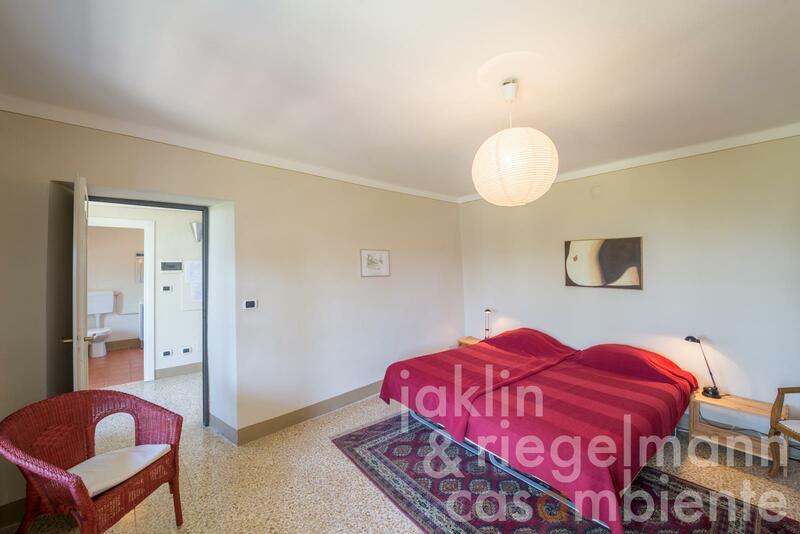 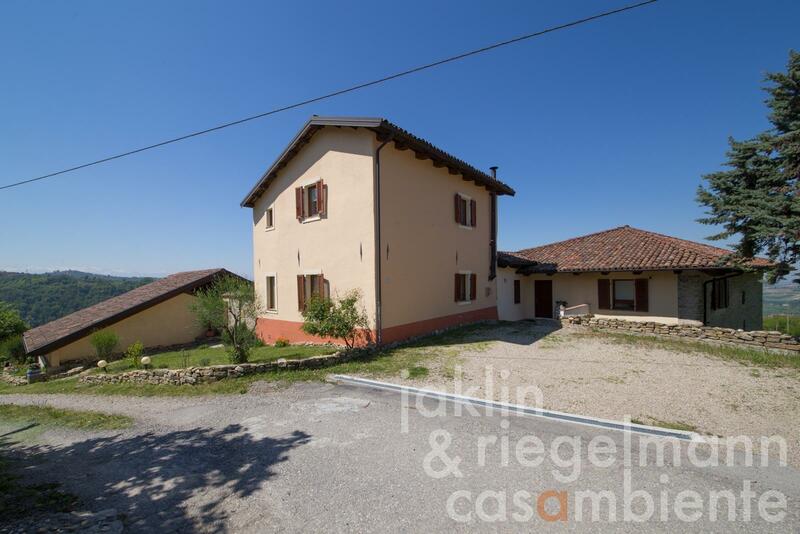 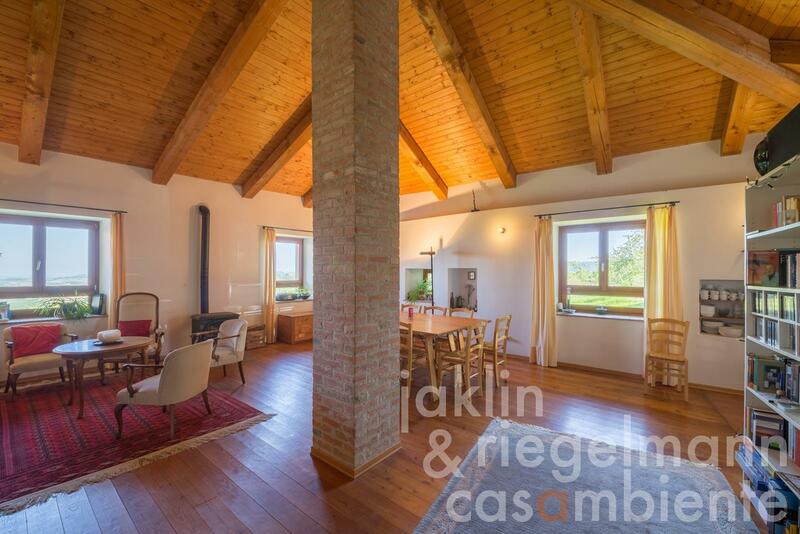 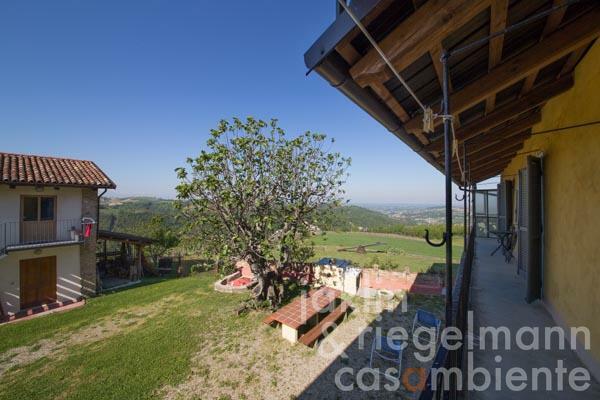 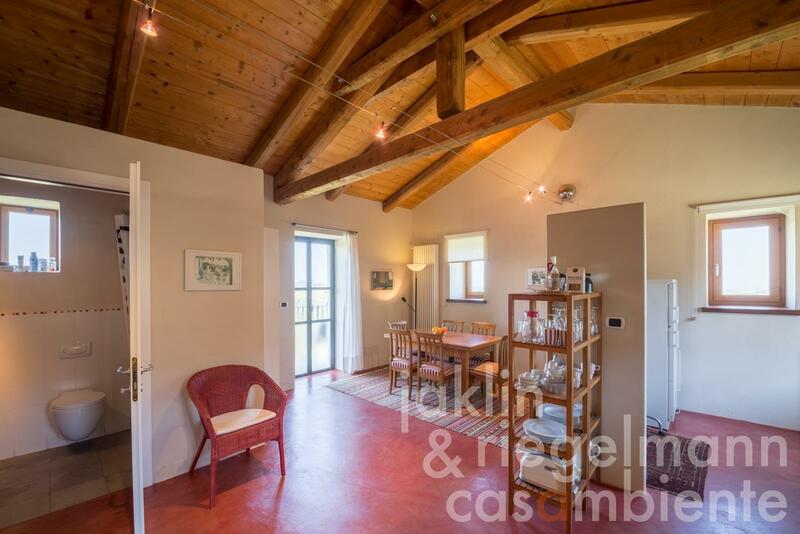 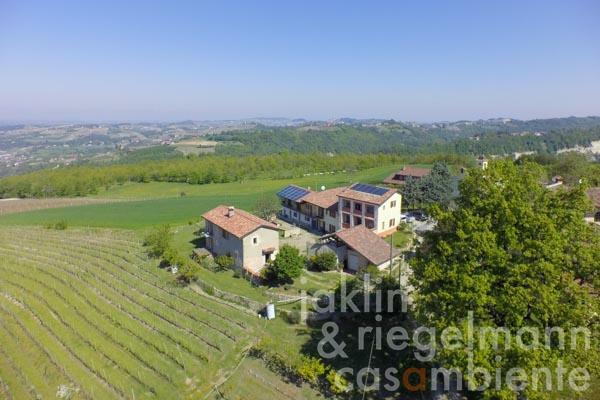 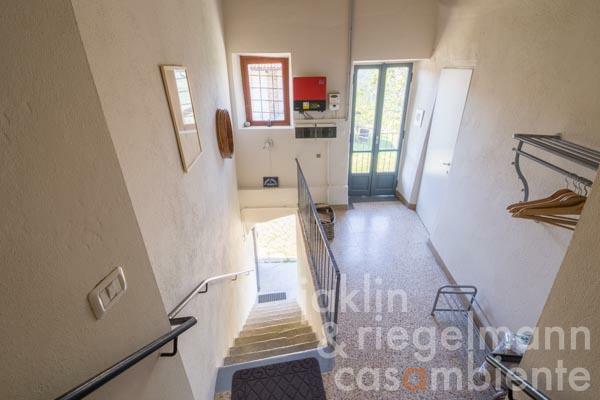 Former restored farmstead for sale with five apartments close to the town Dogliani in the Langhe area in Piedmont. 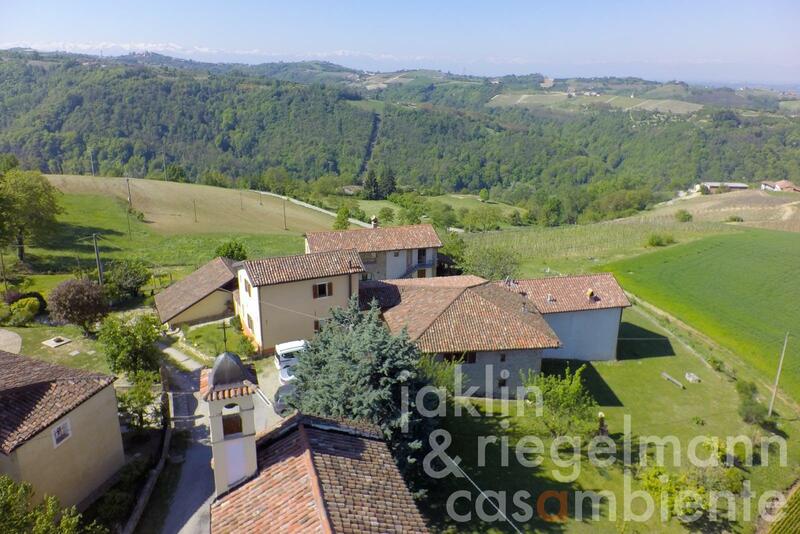 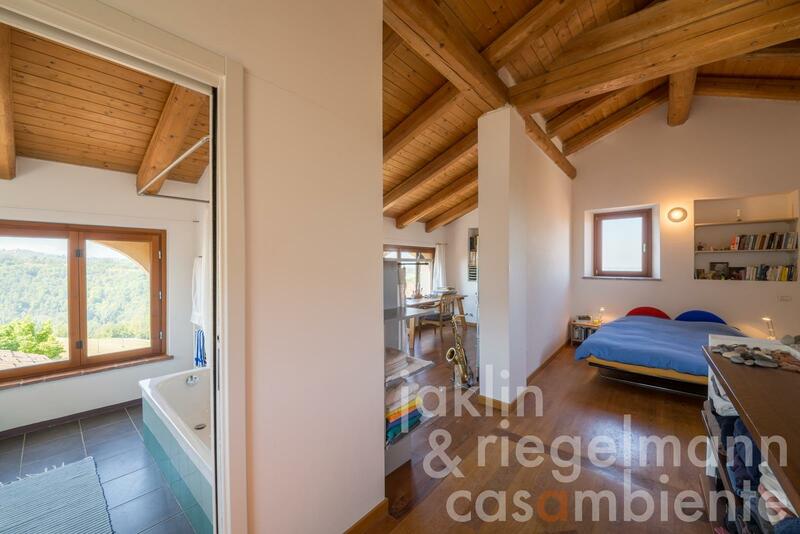 The property offers unobstructable 180° panoramic views onto the Alps, is independent on all four sides, and comprises approx. 2.7 hectares of land with approx. 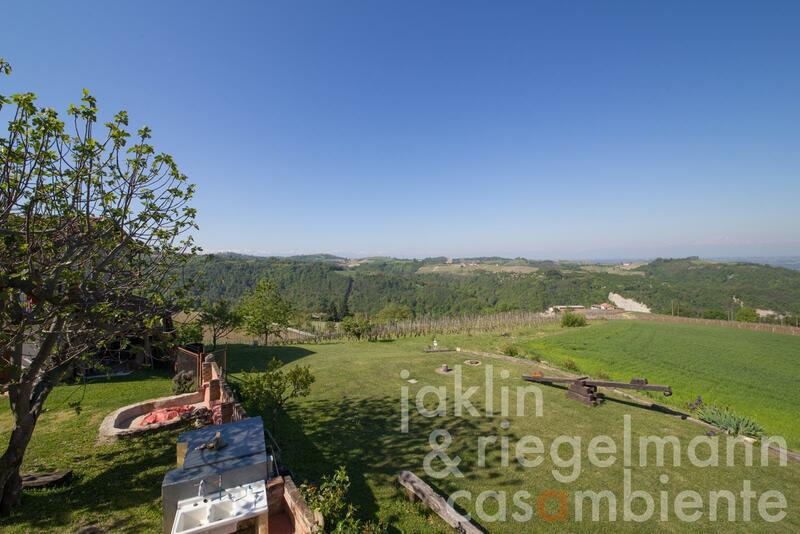 5,000 m² of organic Dolcetto vineyards. 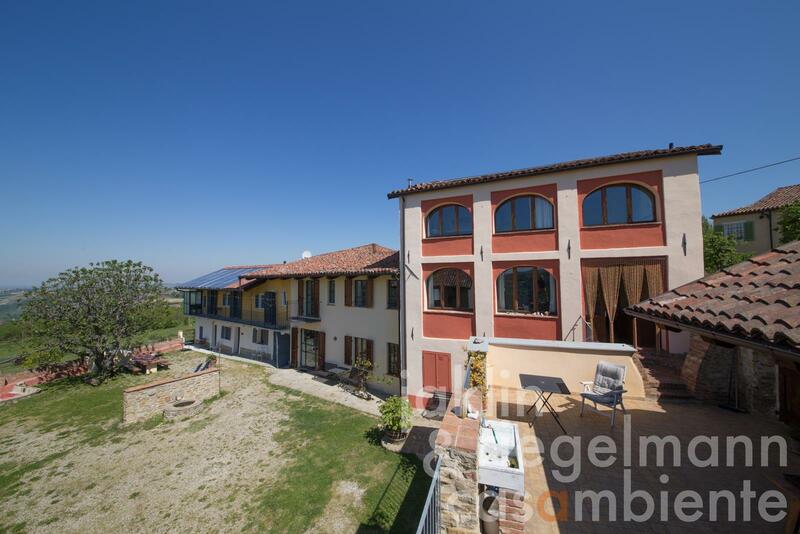 The houses have been fully restored and modernised between 2003 and 2007 with an emphasis on renewable energy sources (photovoltaic- and thermal solar systems). The estate’s four holiday apartments are successfully rented to families and groups. One apartment is accessible for people with a disability. The owner’s apartment offers a spacious living area with a private terrace and a beautiful open-plan sleeping area with en-suite bathroom and views onto the Alps. 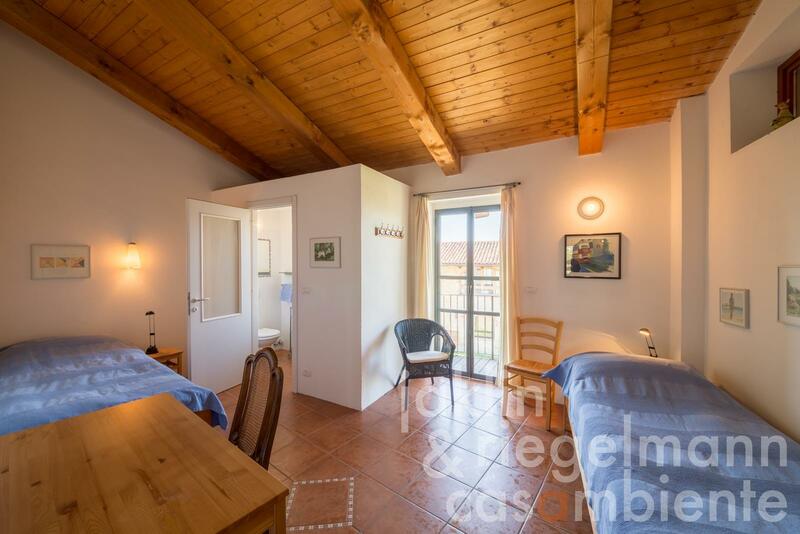 A separate double bedroom with en-suite bathroom can either be rented to holiday guests or added to the owner’s apartment if needed. 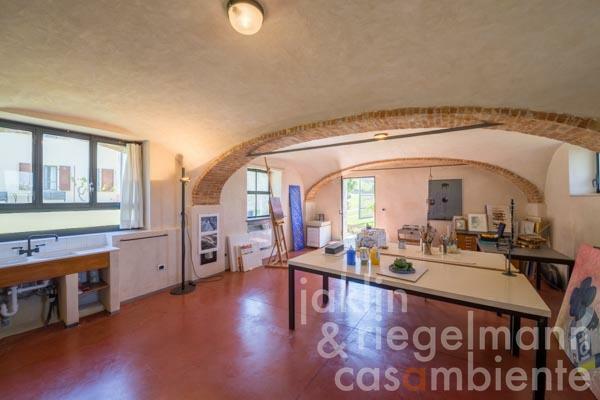 A large recreation room and an atelier are available for guests. The protected courtyard opens to the garden with several fruit trees and to the vineyard, which is located below the annexe facing southwest. 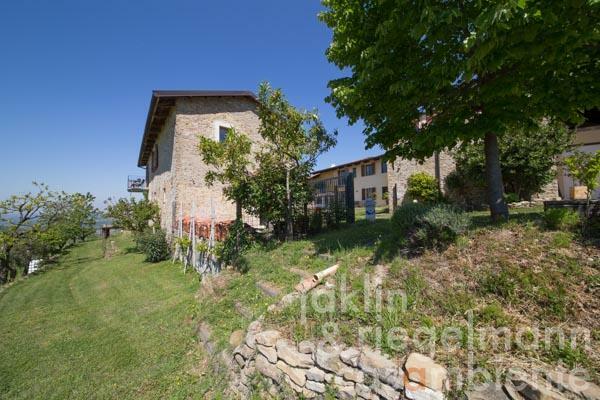 The property can be extended with a swimming pool and is suitable to keep horses. 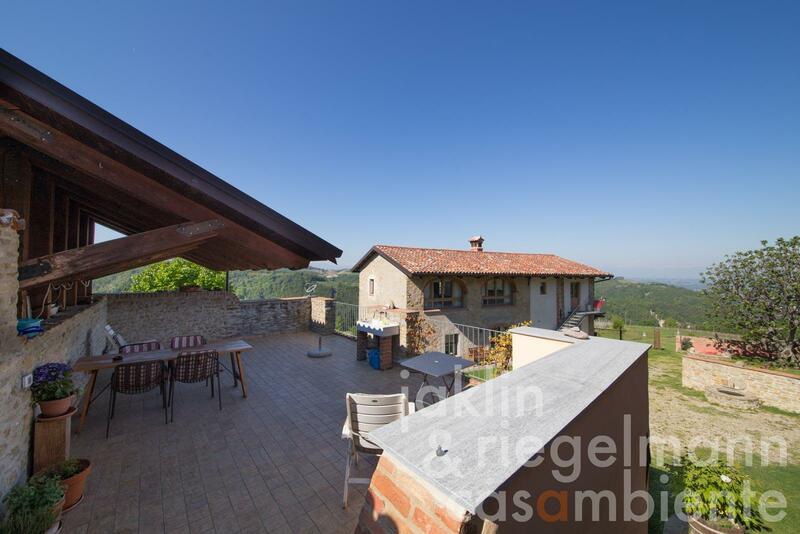 The Ligurian coast, the mountains and the city Turin can be reached in approx. one hour. 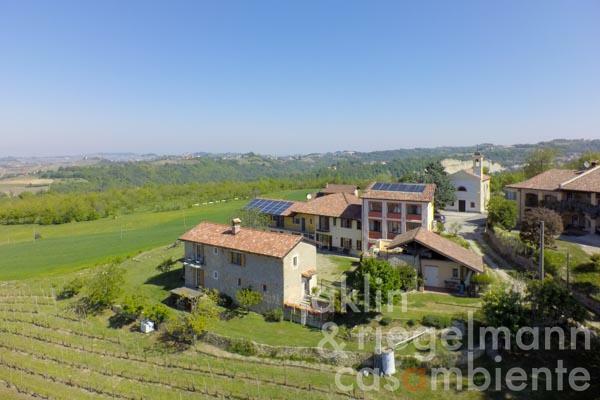 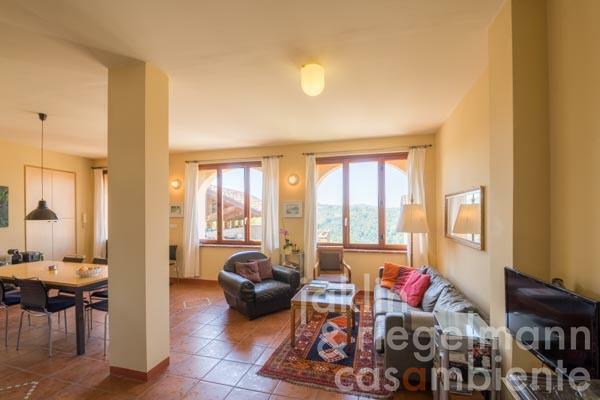 Famous towns such as Barolo, Monforte, Mondovi and Alba are all just about 30 minutes away from this property for sale. Italy, region Piedmont, province Cuneo, municipality Dogliani. 2.73 ha with approx. 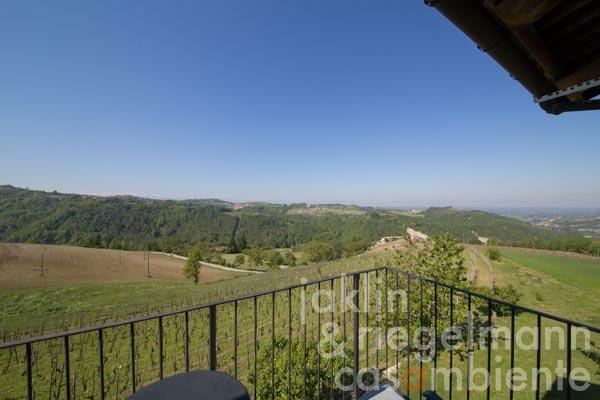 5,000 m² of Dolcetto vineyards. 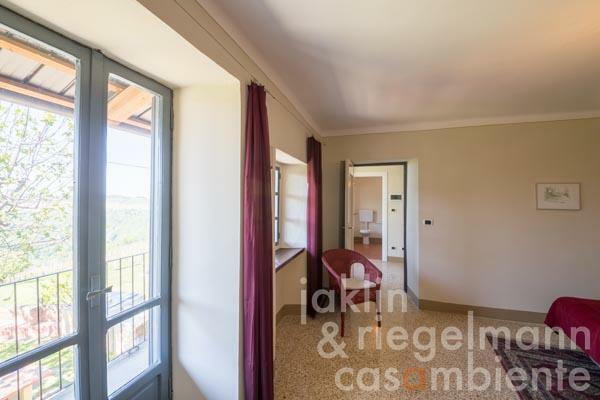 Electricity, photovoltaic modules, mains water, central heating, solar thermal system, underfloor heating, fireplace, gas tank, telephone, broadband internet access, satellite-TV, balcony, roof-deck, private parking, terrace, vineyard, garden. 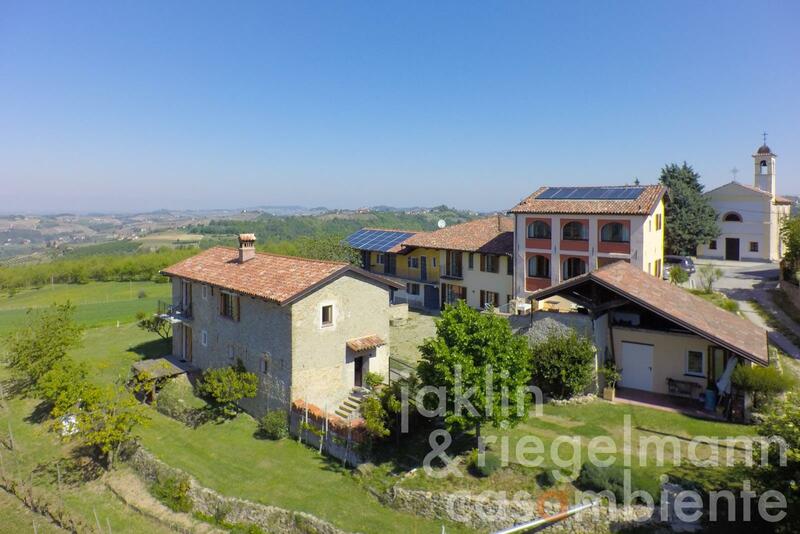 Energy source: natural gas, solar. 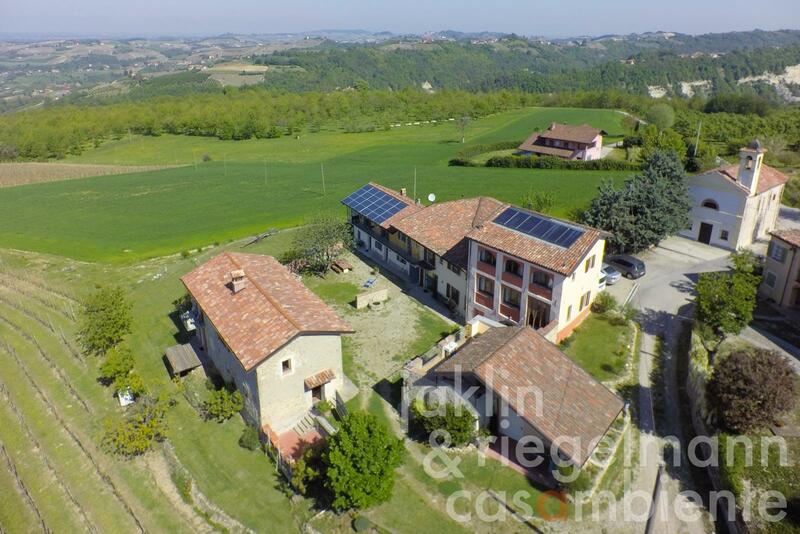 Energy source: biomass, natural gas, solar.